These almond crescent cookies are known as rogaliki in Polish, which literally means "little horns," because they are shaped into horn shapes or crescents. One egg yolk is used in the cookie dough but, not to worry. You can freeze leftover egg whites and save them for leftover egg white recipes. 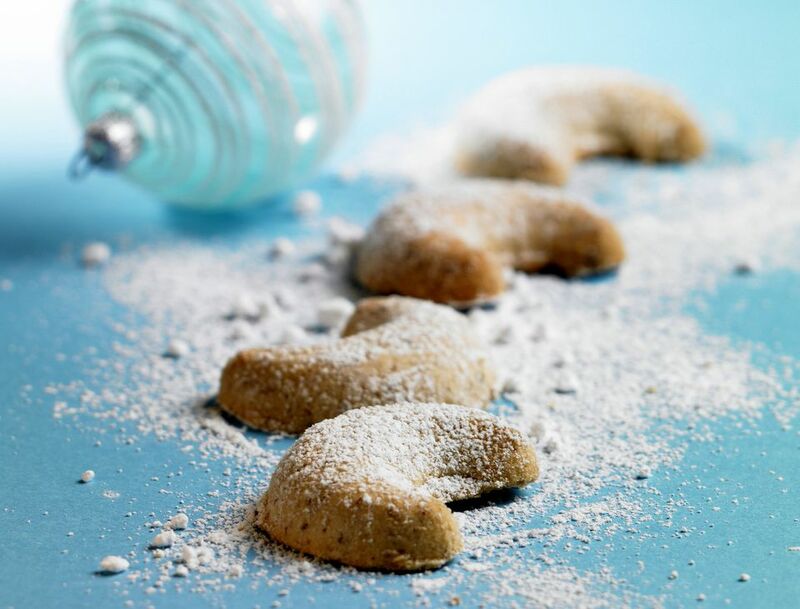 This is similar to Polish Christmas crescent cookies except almonds are used instead of pecans. They simply melt in your mouth. This is a fun project for the kids because they can use their hands to help pinch the dough into walnut-size pieces and then form them into crescent moons shapes. Heat oven to 350 degrees. In a large bowl or stand mixer, cream 8 ounces room-temperature butter and 1/2 cup sugar until light and fluffy. Beat in 1 large room-temperature egg yolk and 1 teaspoon vanilla, mixing well. Add 1/4 cup ground almonds and 1 2/3 cups all-purpose flour, thoroughly incorporating. Using walnut-size pieces of dough, shape into a crescent and place on ungreased baking sheets. Bake 20 minutes or until slightly brown on the edges. While still hot, roll in confectioners' sugar. Re-roll in confectioners' sugar when cool and store tightly covered. If we want to get technical, an almond is not a nut at all, but a drupe. A true nut is a hard-shelled pod that contains both the fruit and seed of the plant like chestnuts, hazelnuts, and acorns. A drupe is a type of fruit in which an outer fleshy part surrounds a shell (what we call a pit) with a seed inside. Some examples of drupes are peaches, plums, cherries, walnuts, almonds, and pecans. Here are more Eastern European Nut Cookie Recipes.